Other people just don't get it. They always wonder how someone living a vegetarian or vegan lifestyle can have enough protein in their diets. You know the truth. There are many plant sources of protein. You don't need to eat meat or dairy to get it. This product features non-GMO, USDA Organic ingredients that are hypoallergenic and all natural. No chemical solvents are used in the processing of the powder. Using the natural source of protein that is brown rice, this offering provides an ideal alternative to animal products and soy. 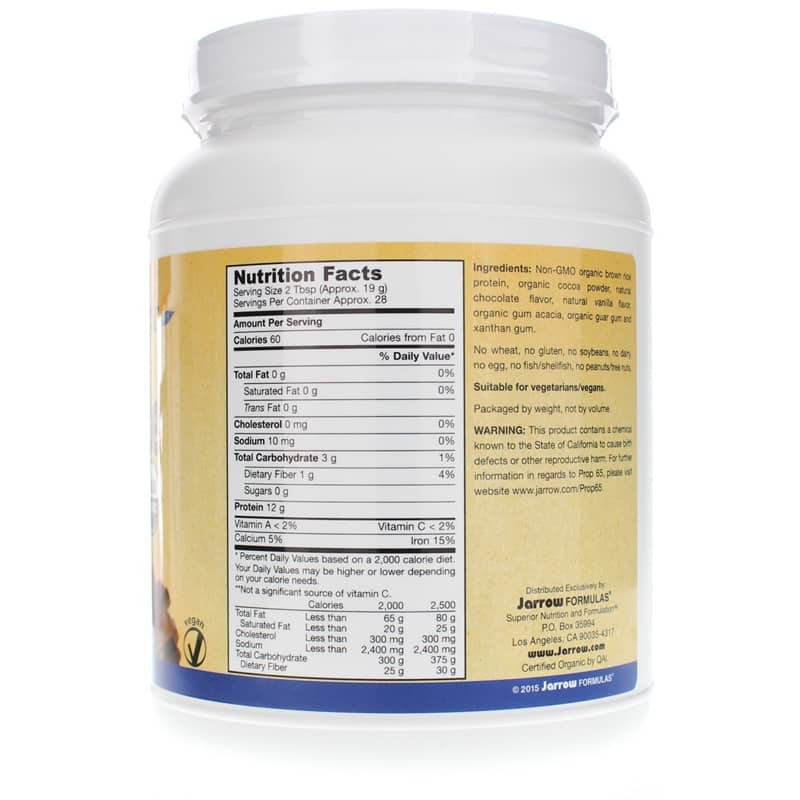 This protein powder has a complete amino acid profile with quality scores beyond 100%. That means it has the amino acids your body needs and it's also easy to digest. Get a protein powder without the animal products, without the GMOs without the sugar or dairy and with all the nutritious protein your body requires. 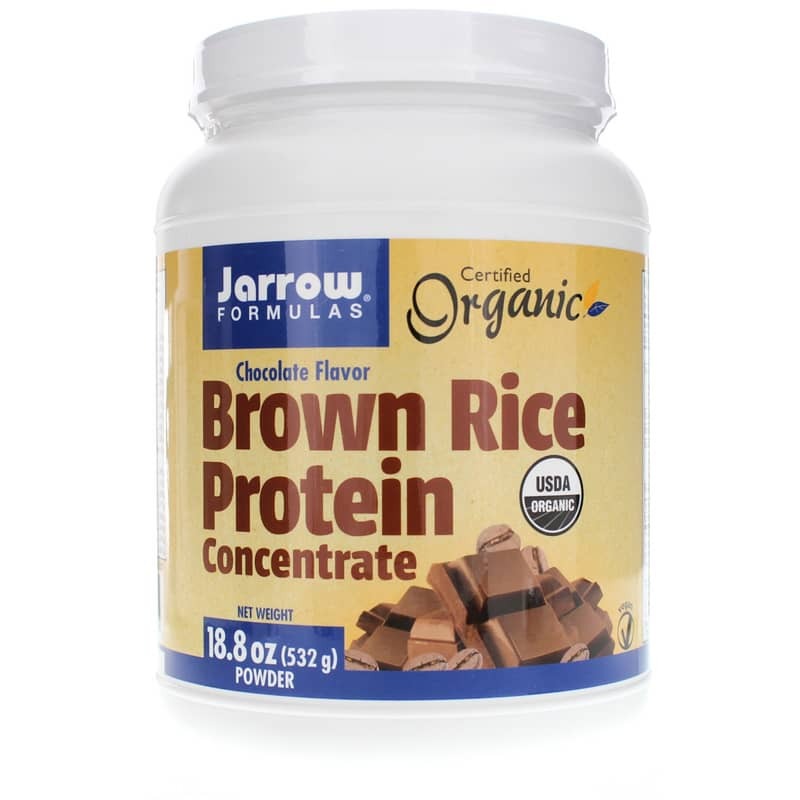 Order Jarrow's Certified Organic Brown Rice Protein right now! Ingredients: Non-GMO organic brown rice protein, organic gum acacia, organic guar gum, xanthan gum, natural vanilla flavor. Contains NO: GMOs, wheat, gluten, soybeans, dairy, egg, fish/shellfish, or peanuts/tree nuts. Vegetarian/Vegan. Adults: Take 1 serving per day as a vegetarian protein supplement or use as directed by your qualified health care consultant. Mix or blend one serving of powder with 8 oz of fruit juice, rice milk or other beverages. Serve promptly. 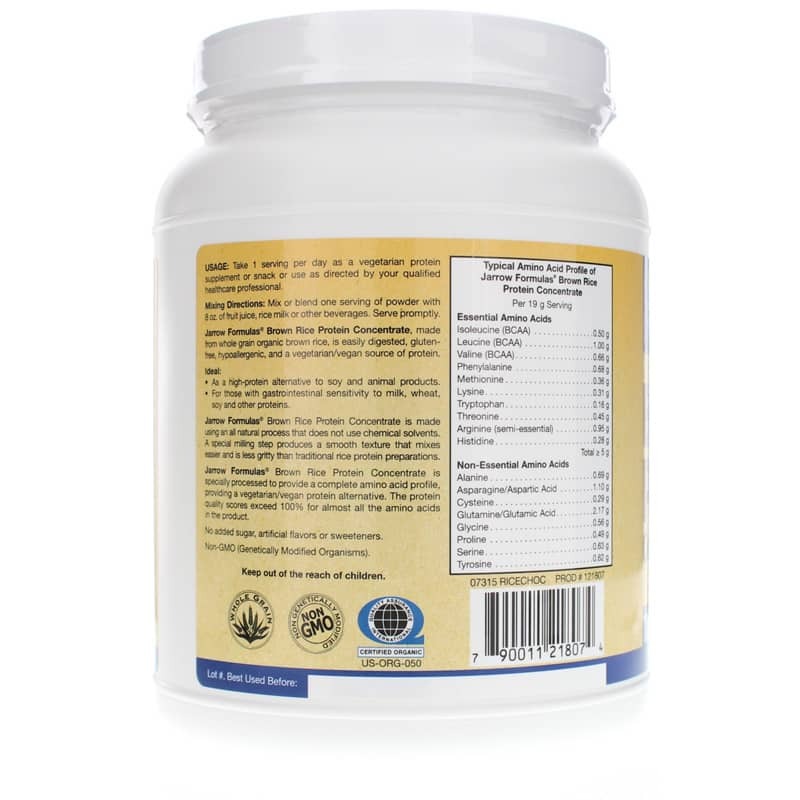 I use Brown Rice Protein Organic Vanilla in smoothies for protein, it tastes & smells great! I scoop it into my cereals with Almond Milk - yummy! I use Brown Rice Protein Organic Vanilla in my morning smoothie with almond milk, flaxseed, and frozen berries. Brown Rice Protein Organic Vanilla is the first protein powder I've used that is easy to digest, and easy to blend in the blender with my protein smoothies in the mornings. It's a great way to add protein when I feel weak or sluggish. Use with almond milk; it tastes great! I have tried a number of protein supplements but Brown Rice Protein Organic Vanilla is by far my favorite. Heard about it on the Dr. Oz show. easy on my digestive system. I purchased a can of this protein powder to use in a shake recommended by Doctor OZ for dieting. Have been using for 2 months along with diet and exercise with good results. Natural Healthy Concepts sent the order to me immediately and the price was reasonable. Will definitely order from them again.